College students today face a 50% chance that they won’t finish their bachelor’s within six years. That’s a 1 in 2 chance that students will leave college without the degree they need for their chosen careers. And they are often left with college credits that may not transfer along with substantial financial debt. How can you set yourself up for success before you begin college? Earning alternative college credits while in high school is an excellent start! There are hundreds of courses to choose from, and you can learn online, in your own time. Alternative credits give students the opportunity to work towards their degree, whether they’re still in high school, in part-time or full-time work, or an adult learner. 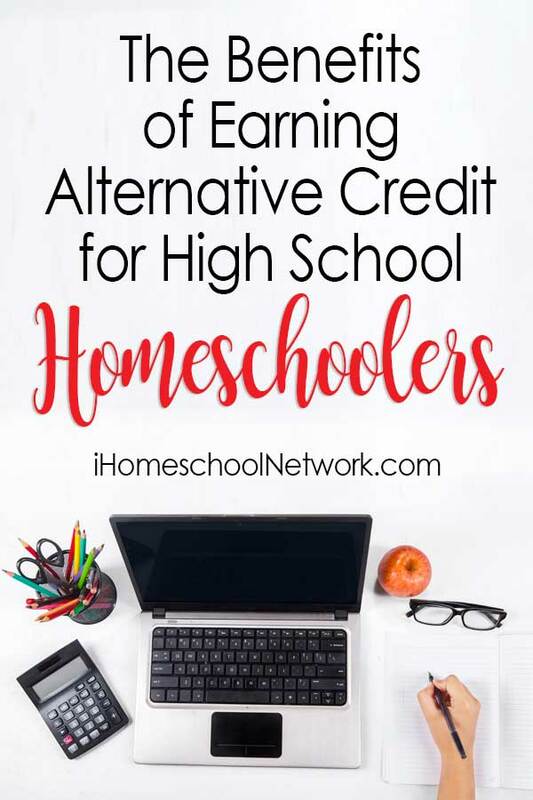 In this article, we’ll cover everything you need to know about alternative college credits, and how you can use them to take an important step towards college success. Ready? Let’s get started. While the value of college degrees has never been higher, the same can also be said for the cost of that diploma. Alternative college credits offer you a less expensive pathway when it comes to earning your degree. They can help you save money, reduce stress, and open a world of learning options. Alternative credit programs, such as Ed4Credit, offer courses approved by the American Council on Education (ACE) to have college credit recommendation. These courses are a low-cost way to get your credits and transfer them to over 2,000 colleges nationwide. The online courses can be started at any time and are self-paced. If you have the time or know the topic you can move quickly through alternative credit courses. Transferring your credits is easy! Upon successfully finishing your course, simply select the courses you’ve completed, choose the appropriate educational institution and ACE will send them your transcript. How Can Alternative Credits Lead to College Success for High Schoolers? By giving students a means of earning credits outside traditional degree programs, it grants a wider array of options. There are many programs to choose from, ensuring students can pick a course connected to the college degree they want to pursue. These types of programs allow you to get general education courses under your belt while still in high school. Best of all, this is an affordable choice if you’re trying to save money on your college education. You’ll earn college credits at a fraction of the price! In addition to earning your General Education credits early, talking a college-level course online is also a great option if you’d like to experiment with a course before going to college. As you can see, alternative credit options are a great way to set yourself up for college success. And yes, you can get college credits as early as high school! There are many options available and you can pick one that partners with the college of your choice. These days, it’s easier than ever to set up a college path that works for you and your needs. If you’d like to learn more about earning alternative credits online, contact us today. Want to learn more about Ed4Credit’s alternative credit program option and how it works? View the informative “How It Works” and “For Parents” sections on their website! Schools and organizations interested in encouraging student degree completion can contact Erin Fouse, V.P. of Education Services at info@ed4credit.com. Here’s to your continued learning success!